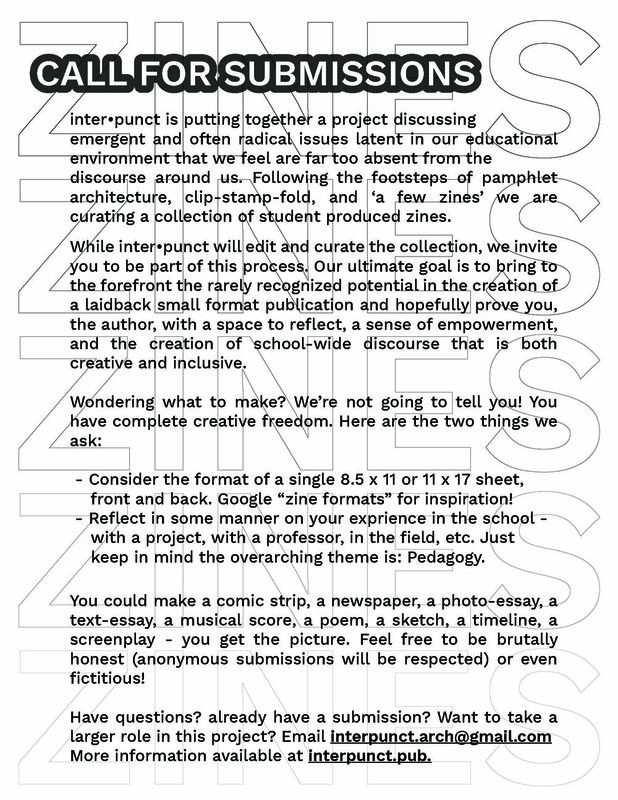 The student journal inter·punct is currently working on a project, a collection of zines, focusing on the topic of architectural pedagogy — and they need your input! For more information please visit the submissions page on the inter·punct website. inter·punct is a journal for architecture founded by students at Carnegie Mellon University and supported by the Carnegie Mellon School of Architecture.